Dr Michael Molton – Graduated in 1993, with a Bachelor of Medicine, Bachelor of Surgery from the University of Western Australia. 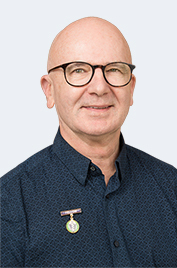 Dr Molton gained a wide range of experience in the public hospital system, mostly in Emergency Medicine and subsequently as Registrar in Psychiatry at Royal Perth Hospital (until 1996). During this time, he developed an interest in Body Dysmorphic Disorder (BDD) and while working as a surgical assistant in private practice he developed further interest in the growing field of cosmetic procedures. He has worked full-time in this field ever since, and currently in his practice in Adelaide, South Australia.